The spring issue of International Therapist is on its way to members. 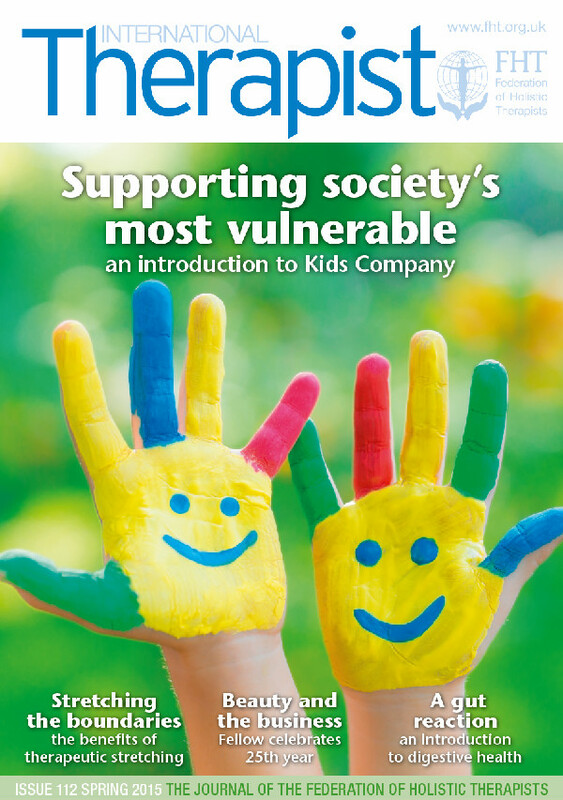 This issue includes articles by Dr Marguerite Paffard, who provides an introduction to the valuable work of Kids Company; Priya Kannath, MFHT offers an introduction to Digestive Health; plus a look at Action for Happiness, a global movement that aims to improve overall well-being; Hydrolats; Thai yoga massage; and Jane Johnson talks about the benefits of therapeutic stretching. Read an interview with Jane Crabtree, MBE, who recently made the Queen’s honours list for her work in teaching therapy to visually impaired students at The Royal National College for the Blind and learn about video production, as well as how to run a successful beauty business. Don’t miss the chance to win a one of three £50 vouchers to spend on branded clothing. 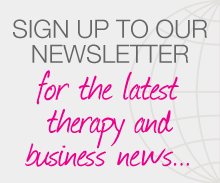 Posted on 23 April, 2015 by Federation of Holistic Therapists (FHT). This entry was posted in news and tagged international therapist. Bookmark the permalink.